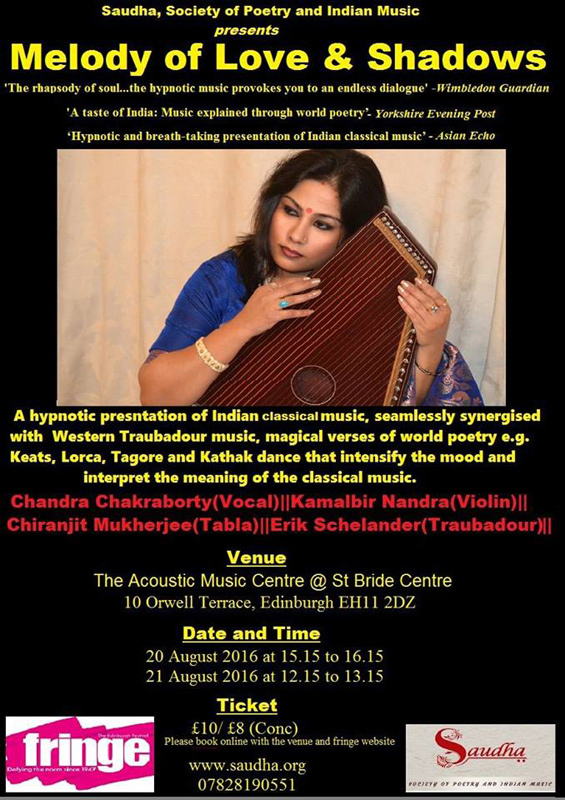 The concert features a hypnotic and world-class presentation of Indian classical music by the finest Indian classical vocalist in UK, national scholar and gold-medallist by All India radio Srimati Chandra Chakraborty (http://www.chandrachakraborty.info/).She will be accompanied on Violin by Sri Kalamlbir Nandra,on Tabla by Sri Gurdian Rayatt (https://www.gurdain.com/) and Sri Dr Siddartha Kargupt on Harmonium. This unique three-month long festival, returning to London for the sixth year, showcases the splendour of Bangla Music and its spectacular latitude through mind blowing performances (with relevant translation wherever necessary) by the best of Britain. The festival features the evolution of Bangla music (evolved approximately at 730 AC) from Charjya-Pod, folk, Kirton, Toppa, Poncho-Kobi (Tagore,D.L Roy, Atul Prasad, Rajanikanto and Nazrul) to Modern Bangla music. The leading singers around the UK from West-Bengal and Bangladeshi origin will exude the treasure and the glorious journey of Bangla music. The event is supported by the London borough of Tower Hamlets. This session features a brief evolotion of Bengali music from Charja-pad to the modern experimetal through world-class performances by the prominent performers that include Dr Imtiaz Ahmed, Gouri Chowdhury, Sumana Basu, Sufi Amir Mohammed, Amith Dey etc. The session also offers an extra-ordinary musical on the dramatic, turbulent life of one of the great Thumri queens Akhtari Bai directed and performed by the finest Indian classical vocalists Chandra Chakraborty. This specific session features the songs of Poncho Kobi (Tagore, the first Nobel lauriate from the East and his four contemoraries) by a prominent Tagore singer, teacher and researcher Ashim Dutta and a highly talented singer Anasua Paul. Thurs 25 October at 5.15pm, Portcullis house at the houses of commons, SW1A 2LW. This specific session is set to celebrate the #BlackHistoryMonth and features the sublime fusion of Bengali music with other global music e.g. Somalian, Nigerian, Indian sub-continental music by LaBoni Barua, Saida Tani, Jessy Barua and they will be accompanied on Kora (African melody-based instrument) by Kadialy Kouyate (http://kadialykouyate.com/) on trumpet by Kevin Davy (https://www.kevindavy.co.uk/) and on Guitar and vocal co-ordination Porag Hasan. This session showcases a prominent stream of Bengli music based on humanism and the development of different modern movement against its common sacred and devotional nature. Dinner will be served after performances. 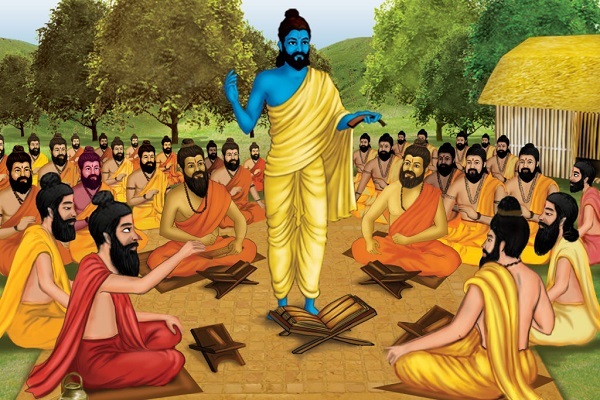 This unique festival reveals the beauty of the spiritual relationship between Guru (teacher) and disciples in traditional Indian culture. The session features the unique teaching of Kirana Gharana (school of Indian classical music) through talks and live post-modern performance of Hindustani classical music through the theatrical presentation of the tumultuous life of Thumri Maestro Badi Moti Bai by the finest Indian classical vocalists in Europe Srimati Chandra Chakraborty and her disciples. The performance will be accompanied by Sri Kamalbir Singh on violin, Sri Sunil Jadhav on keyboard and Aniruddha Mukherjee on Tabla. The event features serene poetry and dazzling dance performance, too. Free entry with free light snacks. Wimbledon Library, 28 July 2018 at 6.30pm. 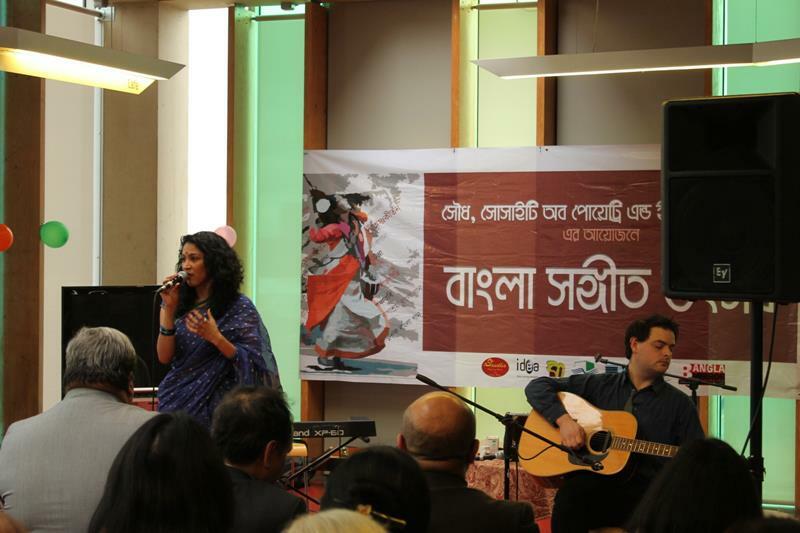 As part of the celebration of the independence of Bangladesh, this Pala Gaan called Swadhin Bangla, renders a unique story-telling on the history of the emergence of Bangladesh in both theatrical and musical presentation connecting myth, rituals, folk music as well as the popular songs of Swadhin Bangla Betar. In partnership with RadhaRaman Society, this Free unique theatro-musical session starts at 6.30pm and features Amalendu Shekhar Podder on Harmonium, Narayan Dey on Dhol, Geetikar Dilaur Rahman Mujib on Dugdugi and vocal support. 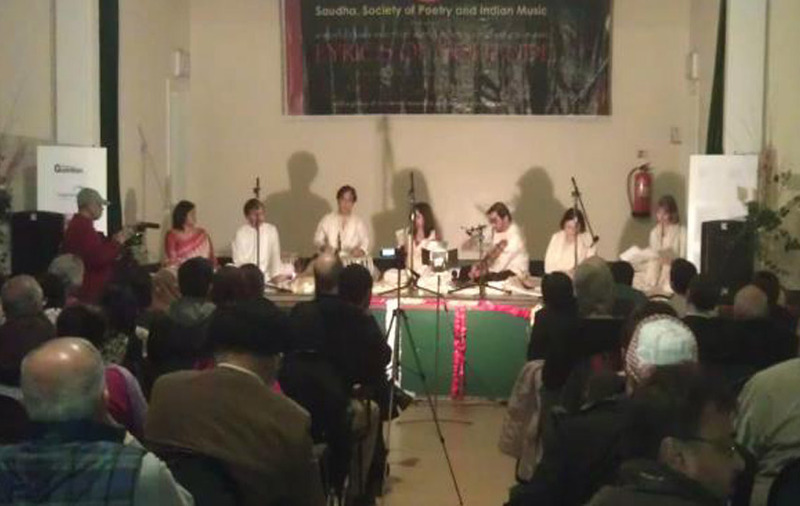 Sajjad Miah on vocal support, Sohel Ahmed on folk dance and acting etc. The event is starting at 6.30pm. Scripted and directed by T M Ahmed Kaysher, this rare, powerful form of world music and ancient form of rural theatre will take you straight to a boorish yard under a Banyan tree in the rural village of Bengal where these special genre of story based music are performed; Ideally from the late dusk to dawn with lots of lantern around the braches of the tree. The performances, as part of the event Sounds of an Unquiet Mind - celebrating mental health through music, art and spoken word, - features a unique presentation of Kheyal - a popular genre of Indian classical music to potray the free-play of human thoughts, improvised state of the restless imagination in mind through musical notes as in ascending and descending, instant permutation -combination of different notes to express various human emotion by the finest North Indian classical vocalists in Europe Chandra Chakraborty (www.chandrachakraborty.info ). 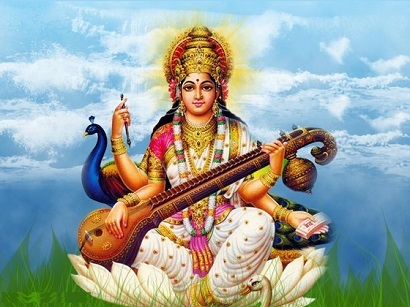 She will be accompanied by Dr Siddartha Kargupta on Harmonium, Aniruddha Mukherjee on Tabla, Alice Barron on violin and Eric Schelander on Western Trabadour - that, as a whole intensify the mood and the meaning of music. The event also offers performances by London Philharmonic Choir and City of London Harmonia along with spoken word performances by a selection of prominent poets. The event is starting at 7pm. 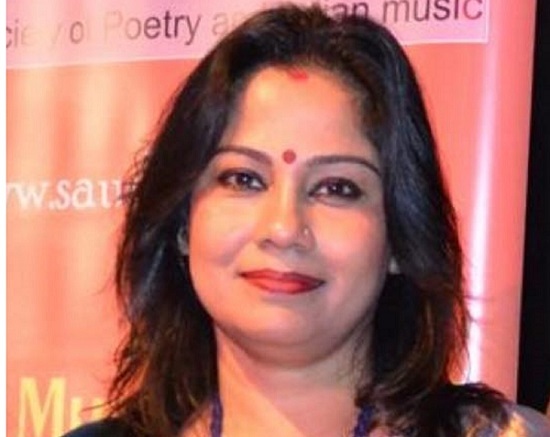 As part of Saudha's Bangla Music Festival, this session in partnership with Poplar Union's Dissover Poplar, presents a hypnotic and breath-taking performance of Bengali/Indian classical music by the leading classical vocalist here in UK, Chandra Chakraborty. An acclaimed Tabla player Saleel Tambe will be on Tabla accompaniment and Dr Siddartha Kargupta will be on Harmonium. Saudha's session starts at 3.35pm. This unique three-month long festival, returning to London for the fifth year, showcases the splendour of Bangla Music and its spectacular latitude through mind blowing performances (with relevant translation wherever necessary) by the best of Britain. The session in Keats House features the hypnotic classical and semi-classical Bengali music by the leading interpreter of Indian classical music in UK (BBC Radio, Eastern Eye, Fringe Review), Ex-scholar of Sangeet Research Academy (SRA), Gold medallist by the All India Radio Chandra Chakraborty (www.chandrachakraborty.info) with the recitation of the poetry of Keats that both interpret and complement the mood of the remedial music. This session of the festival showcases the rich tradition of Bengali Folk Music by a versatile vocalist Sanjoy Dey, chart-topper popular singer Sahana Bajpaie and Sufi Amir Mohammed. This session features the evolution of Bangla music (evolved approximately at 730 AC) from Charjya-Pod, folk, Kirton, Toppa, Poncho-Kobi (Tagore,D.L Roy, Atul Prasad, Rajanikanto and Najrul) to Modern Bangla music. The leading singers around the UK from West-Bengal and Bangladeshi origin will exude the treasure and the glorious journey of Bangla music. This session showcases a haunting performance of the compositions of Tagore and his contemporaries (Poncho-Kobi) by a prominent Tagore singer Ashim Dutta and a national champion of Rabindra-Sangeet (Bangladesh) Shemonty Monjari. The session features a mesmerising thetro-misical presentation of a popular Bangla Pala Gaan (Bengali Folk Ballad) Madhumala & Madankumar along with a solo session of divotional folk music by the top Bengali folk singer in UK Gouri Chowdhury. This session of the festival, hosted by Fabian Hamilton MP, showcases a glimpse of Bengali classical and semi-classical by one of the leading classical vocalists Chandra Chakraborty, recital from Tagore by a leading Tagore singer, artist-in-residence of Saudha Dr Imtiaz Ahmed and folk music by Sufi Amir Mohammed. The session celebrates the achievement of Saudha through talks by MPs, musicologists, and relevant artistic partners. This session of the festival showcases a facinating presentation of Bangla music researched, performed and anchored by the young talented Bengali diaspora in London who are successfully carrying on the legacy of this great form of world music forward. 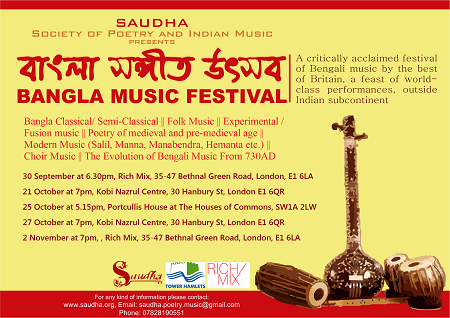 This session of the festival showcases the rich tradition of Bengali semi-classical music e.g. Bangla Ghazal, Dadra, Thumri Kajri etc. by a versatile interpreter of these genres and a prominent singer Farzana Sifat. This session features Bengali semi-classical and modern music by one of the finest Indian classical vocalists Chiranjib Chakraborty, the one who has been honoured recently as a 'Fellow' in Indian Vocal Music (FTCL) by the prestigious Trinity College of London (http://www.chiranjibmusic.com/). This session features a double bill presentation of haunting performance of Bengali semi-classical and modern Bengali songs by a prominent and a versatile vocalist in UK Sumana Basu.and Tagore compositions a highly talented Tagore singer, the one who was born and raised in the North (Manchester) Rishi Banerjee. An extra ordinary event of #Tagore's (the first Nobel laureate in literature from the East ) mystic melodies that portrays his sacred, serene and spiritual universe and renders a unique post-modern and philosophical redefinition of both #love and #Loneliness. The evening will showcase a solo recital by one of the finest Tagore vocalists and exponents in UK Dr. Imtiaz Ahmed. Troubadour vocalist Eric Schleander, extremely talented saxophonist George Sleightholme and a gifted violinist Alice Baron will accompany Imtiaz while they will blend and offer their own interpretation of Tagore, too, through new musical oeuvre. Venue: From Jul 8, 2017 to Jul 8, 2017 in Poplar Union, 2 Cotall Street, E14 6TL London. A critically acclaimed, extra-ordinary and exotic festival of hypnotic Indian classical music performed by the best of Britain, - is returning to London for third time. The festival offers breathtaking, world-class performances of the extremely musically exuberant, magical and enrapturing genres of Pan-Indian (India as a sub-continent) classical and highly popular semi-classical music. 19.00 Solo vocal recital of Thumri and Kheyal by Chandra Chakraborty ('The most sought-after, hypnotic Hindustani vocalist in UK', -BBC Radio; Gold medalist by All India Radio, National Scholar, Ex-scholar of SRA) with Tabla accompaniment by Hiren Chate and Harmonium accomaniment by Rekesh Chauhan. The performance includes an experimental fusion with an eminent jazz music group Iyatra. 18.10 Door opens !8.30 Intellectual talk and discussion on Indian classical music by the practitioners, academicians and performers. Tickets can be purchased via eventbrite, reserved over the phone and will be available by the door, too. 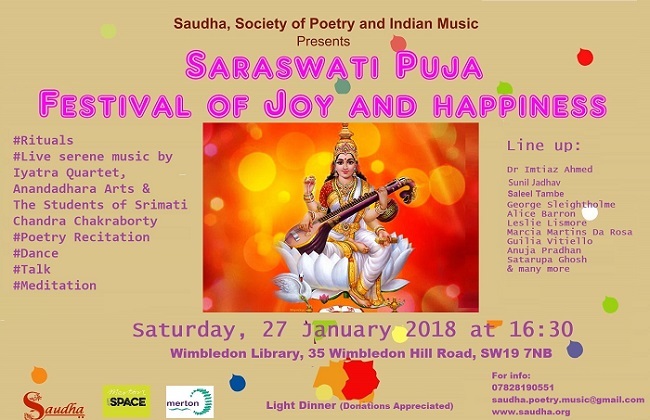 Saudha (www.saudha.org) celebrates this auspicious moments of worship for the goddess of arts and knowledge Devi Saraswati through the captivating sessions of poetry by the local Merton Poets, dance and devotional music (both classical and semi-classical) by a selection of prominent singers and musicians. 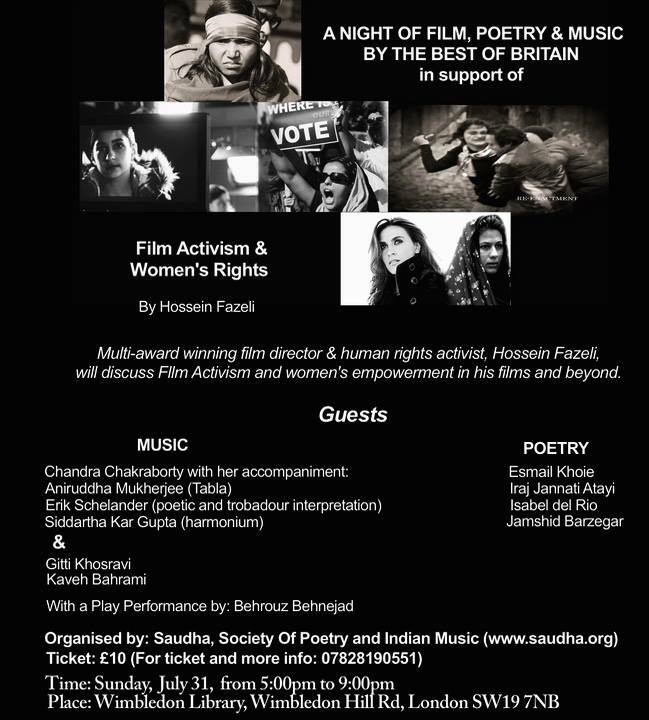 An exceptional event of serene Indo-Iranian music and poetry by the best of Britain in support of unique films being made on Women's right issues by one of the extraordinary voices from Iranian background at the scene of world cinema -Hossein Martin Fazeli. The event will proudly feature a profound talk by the internationally acclaimed, more than 39 prestigious award-winning film maker Hossein Martin Fazeli. He will talk on the discourse of film activism and women's rights along with the screening of one of his never-seen-before documentaries as well as segments from a few other films. The event offers hypnotic presentation of Indian classical music by the leading Indian classical vocalists in UK, Chandra Chakraborty with Aniruddha Mukherjee (Tabla), Erik Schelander (poetry and Troubadour interpretation) and Dr Siddhartha Kargupta (Harmonium). The event includes stupendious traditional Persian music by Gitti Khosravi and Kaveh Bahrami with a play perfomance by Behrouz Behnizad. Three well-known Iranian poets Esmail Khoie, Iraj Jannat Atayi and Jamshid Berzigner will recite the haunting verses of their poems in between music, talk and screening. The event will start at 5pm. 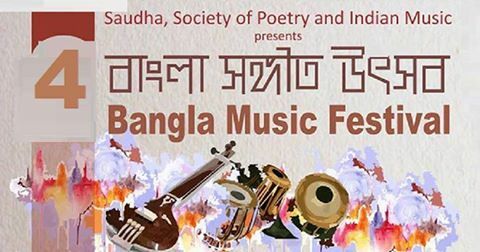 This three months-long unique festival (চতুর্থ বাংলা সঙ্গীত উৎসব), returning to different prestigious venues of London (e.g. Keats House, Rich Mix, Nehru Centre etc.) for the fourth times, showcases the splendour of Bangla Music and its spectacular latitude through mind blowing performances (with relevant translation wherever necessary). It features the evolution of Bangla music (evolved approximately at 730 AC) from Charjya-Pod, folk, Kirton, Toppa, Poncho-Kobi (Tagore,D.L Roy, Atul Prasad, Rajanikanto and Najrul) to Bangla Adhunik (Salil, Manna, Sochin and all other doyens and legendary composers of Bangla music). 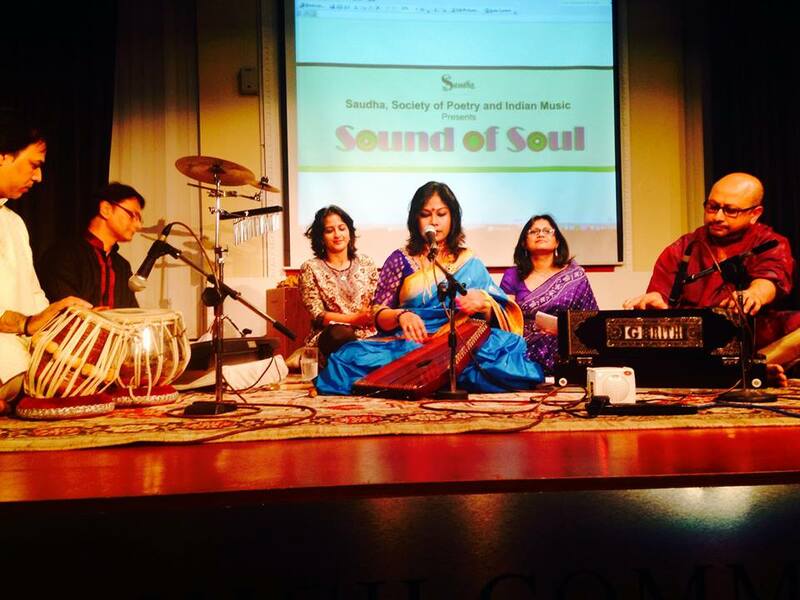 Saudha, Society of Poetry and Indian Music presents this unique and exotic festival that offers hypnotic performances of the extremely musically exuberant, magical and enrapturing genres of Pan-Indian (India as a sub-continent) classical and highly popular semi-classical music. Raynes Park Library (23 Approach Rd, London SW20 8BA) hosts the first day of the festival on 5 March 2016. The door will open at 6pm. The first day features prominent Carnatac vocalist, musicologist Smt Manorama Prasad who will be accompanied by critically acclaimed musicians Sri Balu Raguraman on violin and Sri M Balachandar on Mridangam as well as notable Thumri singer of Benaras Gharana Dr Aswin Kalbag. Smt Manoroma Prasad came from a a well known family of musicians in Bangalore. 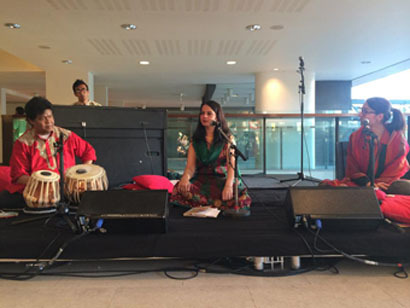 Combining performance across the UK and for the... BBC with her work as a musicologist at a number of universities and schools including Cambridge, SOAS and Trinity School of Music, Smt Prasad says "music gives me a lot of pleasure and sometimes I wonder where has all this come from". Second day of the festival will happen at Morden Assembly Hall (Tudor Drive, Morden, SM4 4PJ) on 12 March 2015. The door will open at 6.30pm. This session presents an experimental blend of Kheyal, Thumri and Ghazal with visually colourful Kathak and seamlessly melded recitation of the verses from traditional both oriental and occedental poets like Lorca, Hafiz Tagore, Shelly, that connotes the mode of the profound music. This hypnotic ormance will be led by one of the finest Hindustani classical vocalists Chandra Chakraborty and will be accompanied by the Tabla Maestro Sanju Sahai and a critically acclaimed musician Rekesh Chauhan on Harmonium, Schubert vocalist Erik Schelander (recitation) and a Kathak dancer of that artistic level. 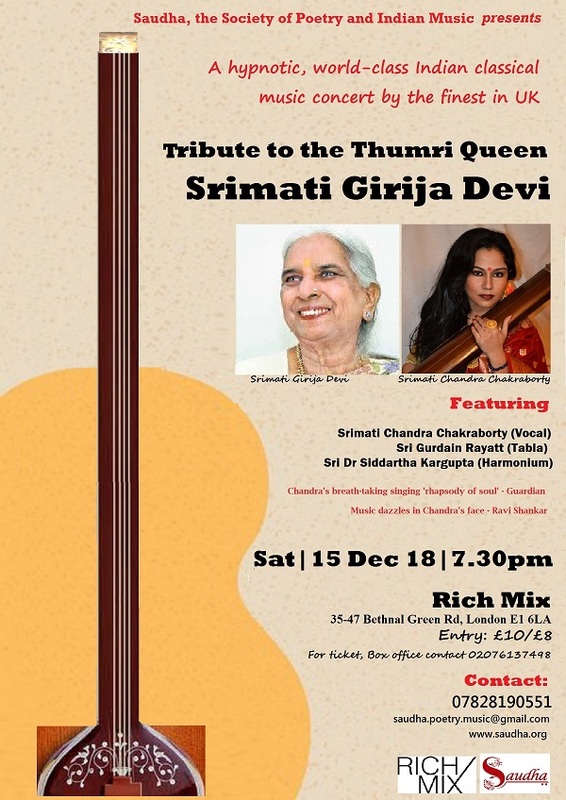 Rich Mix (35-47 Bethnal Green Rd, London E1 6LA) will host the finale of the festival that features two leading classical performers of Indian classical music Roopa Panesar (Sitarist) and Sanhita Nandi (vocalist). The door will open at 6.30pm. Smt Sanhita Nandi is one of the most acclaimed artists of Hindustani Classical Vocal of current times. 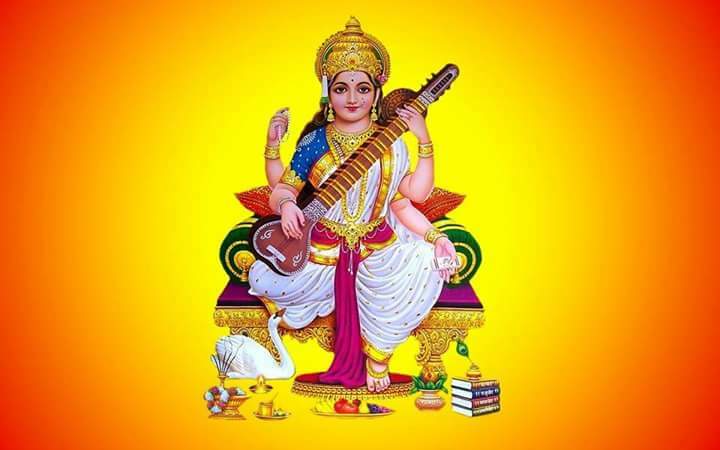 She presents herself as a representative exponent of Kirana Gharana. Smt Sanhita was groomed by Late Pandit A. Kanan, the senior most gurus of the ITC Sangeet Research Academy,Kolkata. She got added exposure under Pandit Vinayak Torvi for few years. After years of practice, and under the profound influence of Gharana maestros, she assimilated the distinctive features of the Kirana Gharana. 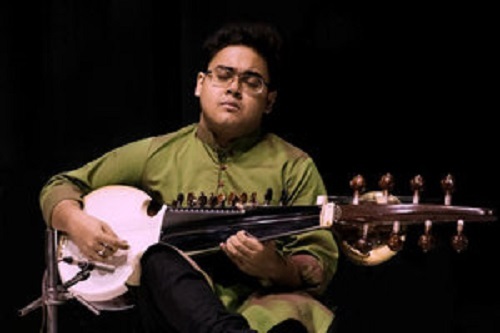 To further enrich the aesthetic improvisation of the Kirana Lineage and traditional compositions, Sanhita came under the advanced tutelage of Ustad Mashkoor Ali Khan and continues to hone her fine musical skills under him. Sanhita Nandi is currently based in New Jersey (USA) and New Delhi (India) and performs frequently in India and abroad at all the prime music festivals and concerts. She has received great recognition and reviews on her mastery over the delivery of pitch, tonal precision, use of microtones and tone-fragments, the main characterization of Kirana Gharana. (http://sanhitanandi.com/ for detail). Roopa Panesar is one of the finest Sitar players to emerge on the Indian music scene in the UK. She has been receiving accolades from audiences and peers alike for her outstanding ability and quality of music. Her soulful and unique style of playing has left her listeners captivated in true sense. 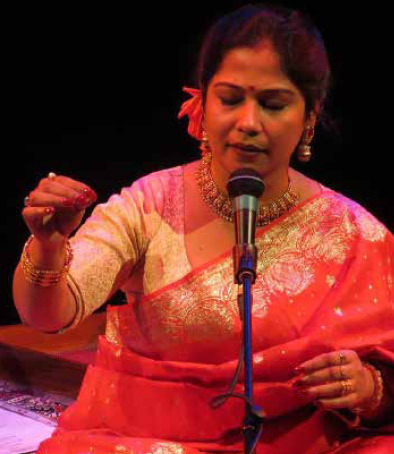 With the incredible emotional depth of her sound, she has touched the hearts of audiences far and wide and received blessings from many eminent musicians in the world of Indian classical music. 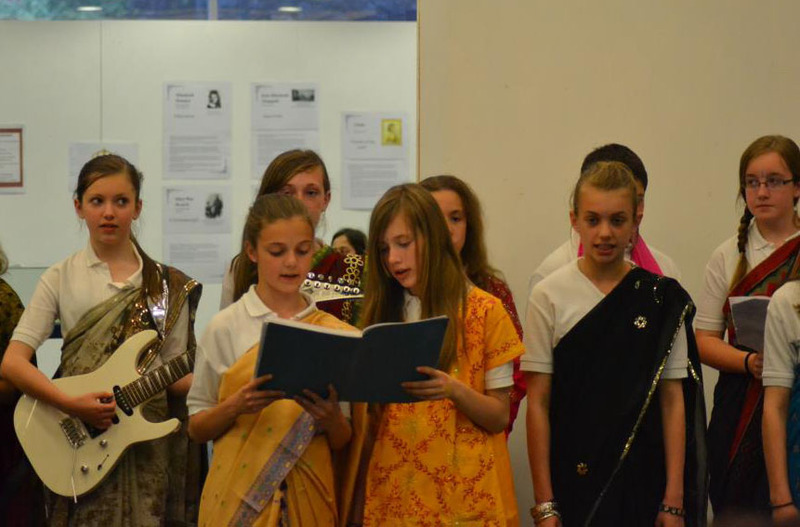 Roopa has also been teaching the sitar for a number of years and is involved in numerous projects to inspire and educate the next generation of Indian classical musicians. As well as being deeply rooted in the classical tradition, Roopa has collaborated with musicians from different genres such as Mercury Prize Winner, Talvin Singh, Laura Wright and Dirk Brosse to name a few. Roopa has toured extensively in UK, Europe and USA performing at prestigious venues and released her debut album ‘Khoj’ in 2011. (http://www.roopapanesar.com/about.htm for detail). Sanju Sahai is currently one of the finest and most sought after Tabla players of his generation. Belonging to the Benares Gharana (lineage) and being the 6th generation of Tabla players in the lineage, he began playing at an early age. A phenomenal and outstanding Tabla player, he is well known for mesmerising and captivating his audience with his power, virtuosity and complete spontaneity. (http://www.sanjusahai.com/ for detail). Rekesh Chauhan, accompanying Harmonium is a Pianist, Guitarist, Songwriter, Recording artist, Producer, Composer and for every other medium imaginable, his sound is truly a testament for tomorrow’s style. His music and style defines the reverberation amongst the new generation of listeners of contemporary world music as his music amalgamates both Western and Indian styles. (http://www.rekeshchauhan.com/bio.html for detail). Ticket for this session: £12 & £10 (concession for pensioner and child). 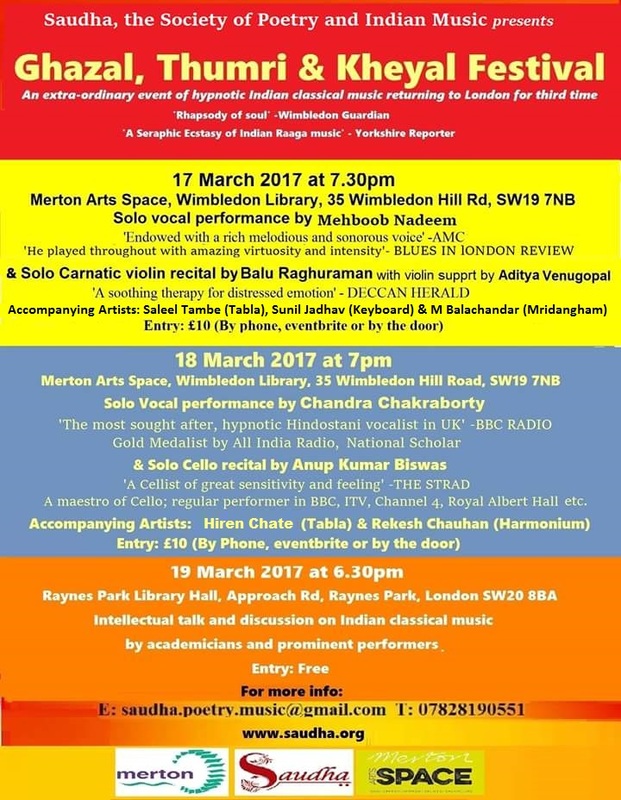 The festival also entails two free workshops on Indian classical music as therapy (which will cover significant length and breadth of Indian classical music as a form of art and as a way of therapy with in-depth discussion and demonstration) at Wimbledon library (Wimbledon Hill Rd, London SW19 7NB) on 28 February 2016 at 5pm and 3 March 2016 at 3pm. (Please book your place in the library in advance to avoid frustration). This is event is supported by London Borough of Merton Council. Please contact Pushpita Gupta on 07737828922 for detail. The event, as part of the Alchemy at Southbank Centre, offers a hypnotic glimpse of violin-solo by one of the leading violinists Kamalbir Nandra and Kheyal recital by Dr Priya Bhagwat, a very emerging classical singer and an advance disciple of Chandra Chakraborty. 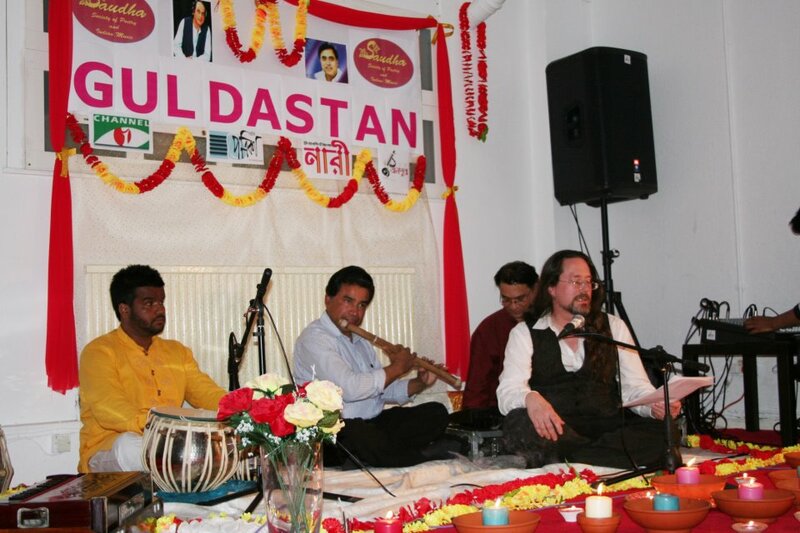 Both of the performances will be accompanied by the critically acclaimed Tabla player Yousuf Ali Khan. A short piece of piano composition by Niloy Amin and Greek as well as English poetry recitation by Despina Christodoulou are set to interpret the mood of the classical music. 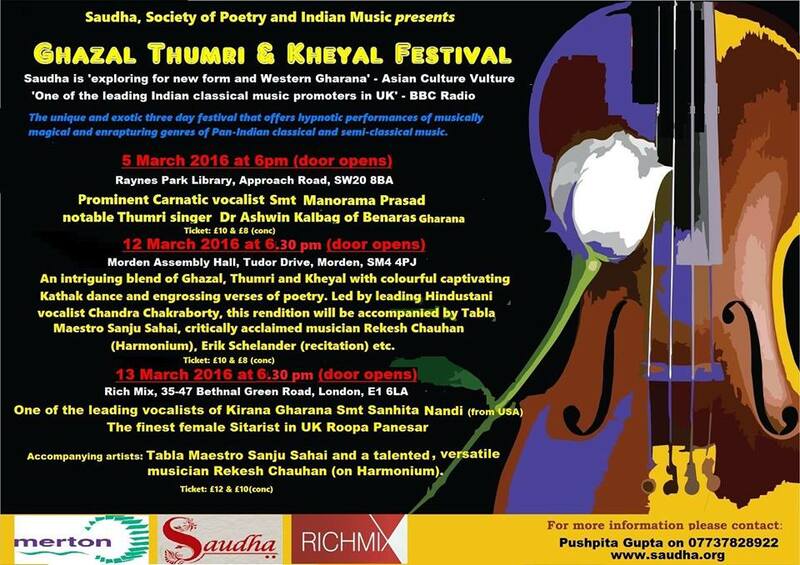 The event will be compered by T M Ahmed Kaysher, the director of Saudha, Society of Poetry and Indian Music. The event will start at 6.30pm and finsh by 8pm. Singers include leading classical singers Chandra Chakraborty, Chiranjib Chakraborty, critically acclaimed guest classical singer from Kolkata Anol Chatterjee, prominent Tagore singers Imtiaz Ahmed, Sanjoy Dey, Sahana Bajpae, celebrated semi classical vocalists Sumana Mallik Basu, Gouri Chowdhury, Farzana Sifat, Sayan Gupta, Amith Dey and others. 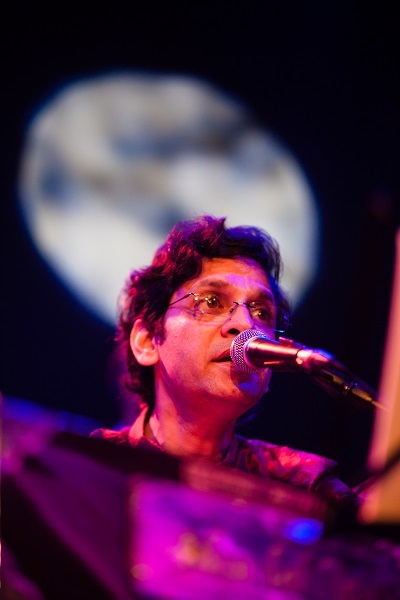 Renowned keyboard player Kiran Thakrar, one of the emerging Tabla players from Kolkata Chiranjit Mukherjee and other highly revered musicians will be the accompanying artists to orchestrate a sublime flow of music all the way through. Keats House will host the phenomenal climax of Bengali music through the songs of Nobel Laureate Bengali Romantic poet Rabindranath Tagore; the lyrics will be interpreted through the recitation of the verses of Keats that Tagore was hugely influenced by. Kobi Nazrul Centre will host this highly interactive session of music and discussion by the local audience and artists, mainly on the future of Bangla Music in the West, The session will feature few talented children artists and group performance by Robika and Satyen Sen School of Arts. Rich Mix will host the evolution of Bangla Music and its spectacular latitude through mind blowing performances with English translation (wherever necessary) by leading musicians from West Bengal and Bangladeshi origin. The last day of the event will feature the colourful spectrum of Bangla Music from Chorja-Pod (730 AD), folk (RadhaRamon, Lalon, Hason Raja etc), Kirton, Toppa, Poncho-Kobi to Bengali contemporary modern songs (Salil, Akhilbandhu Jotilessor, Manna dey, Sochin, Manobendro, Shyamal, Hemanta and other doyens of Bangla Gaan). 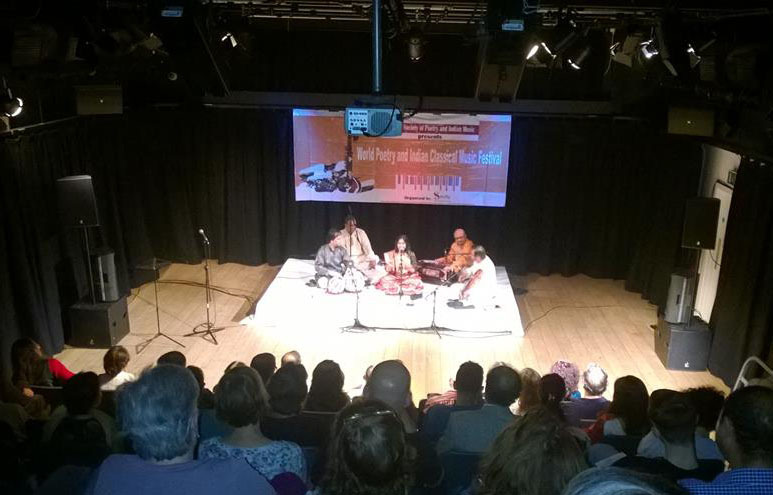 A two-day festival returns to Leeds for third time that showcases experimental performances of therapeutic Indian classical music (both vocal and instrumental), haunting verses of poetry (both traditional and contemporary) and visually dazzling form of dance called Kathak so that each form of art profoundly complement each other. The event features one of the finest Indian classical vocalists Chandra Chakraborty (www.chandrachakraborty.info/), the leading violinist Kamalbir Singh, the best female sitarist of this country Roopa Panesar (www.roopapanesar.com/), actor and impassioned reciter of Hafiz and Cavafy, Erik Schelander, highly acclaimed Tabla player Bhupinder Singh Chaggar and one of the emerging young Tabla star Himanish Goswami etc. 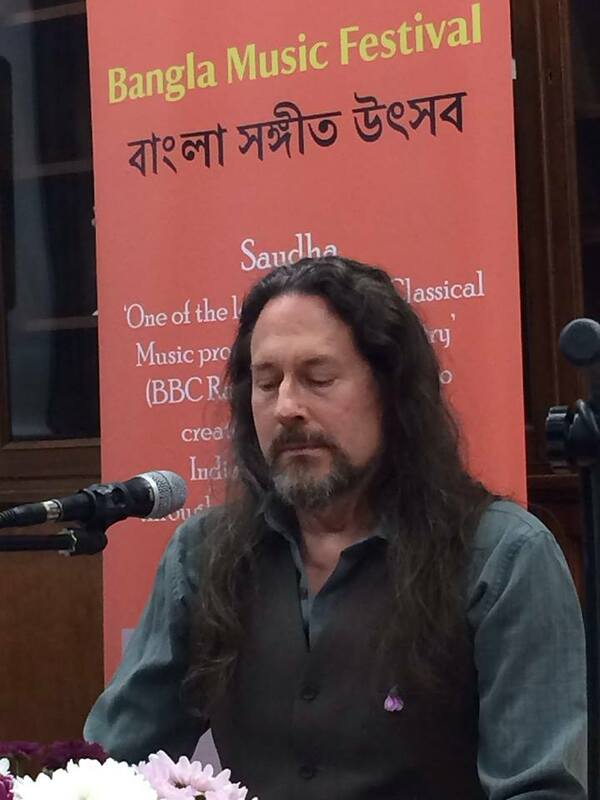 Saudha, Society of Poetry and Indian Music (www.saudha.org), is 'one of the leading Indian classical music promoters of this country' (BBC Radio, Eastern Eye, Bangla Mirror); the organisation which is in a journey to 'Exploring New forms and a 'Western Gharana' of Indian classical music (Asian Culture Vulture). 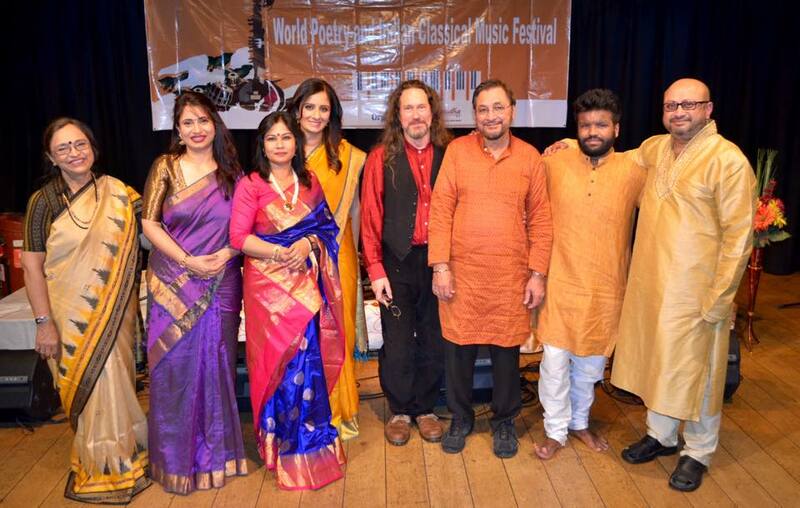 In addition, Saudha 'organises hypnotic Indian classical music concerts' (Yorkshire Evening Post, Wimbledon Guardian). 20.00 Ragamala, a sublime, experimental approach to Indian classical music that seamlessly intertwines other profoundly relevant art forms e.g. poetry, visual painting and Kathak dance to intensify the emotions and to interpret the metaphoric meaning of classical music for global and quite importantly, brand new audience. Entry fee: £10/£8 (for senior citizen and child below 18). The festival offers hypnotic performances of two of the extremely musically exuberant, both magical and magnetising, spiritually enrapturing genres of Pan-Indian (India as a sub-continent) Semi-classical music called Ghazal and Thumri which will be performed by some leading and emerging singers and musicians of this country. The lyrics and the mood of the music will, then, be interpreted through traditional and contemporary verses of English poetry and seamlessly, be intertwined with the thread of music by some impassioned reciters in order to target and to communicate to global audience. The festival entails two enthralling performances at Morden Assembly Hall (Tudor Drive, Morden, SM4 4PJ. Bus routes to Tudor Drive: 413, 293, 163. The nearest tube station is Morden on the Northern line) and Raynes Park Library Hall (Approach Rd, London SW20 8BA) in London Borough of Merton on 14 and 15 February 2015 respectively. It involves, in addition, two workshops in Wimbledon library (Wimbledon Hill Rd, London SW19 7NB. 5 minutes walking distance from Wimbledon station) on 9 and 22 January 2015 from 5pm each day. The event is supported by London Borough of Merton and Merton Library Services. The event will start at 6.30pm and continue till 8.30pm on 14 February 2015. One of the leading Hindistani classical vocalists Chandra Chakraborty (http://www.chandrachakraborty.info/), the grandson of the legendary Ustad Vilayat Hussain Khan (Pranpiya), highly acclaimed sitarist and Ghazal singer Mehboob Nadeem (http://mehboobnadeem.com/), eminent semi-classical vocalist Farzana Sifat as well as young and talented Ghazal singer Dr Priya Bhagawat will perform while two of the highly respected musicians Yousuf Ali Khan (Tabla) and Sunil Jadhav (Key-board) will accompany the performance together with reciters that include Erik Schelander etc. Ticket can be collected from the desk by the door on the day of performance but booking in advance over the phone is strongly advised due to have the limited capacity in both of the venues. Please call Pushpita Gupta for more detail on 07737828922. One of the leading Hindistani classical vocalists Chandra Chakraborty (http://www.chandrachakraborty.info/), eminent semi-classical vocalist Farzana Sifat young and talented Ghazal singers Dr Priya Bhagwat and Sayan Gupta will perform while one of the highly respected musicians Yousuf Ali Khan (Tabla), Abu Emran (Keyborad) will accompany the performance together with poet Ziba Karabassi (with Kaveh Bahrami in music), poet Mir Mahfuz Ali, poet David Lee Margon, poet Shaila Simi and reciters that include Erik Schelander as well as young pianist Niloy Amin. The event will start at 5pm and finish by 7pm on 15 February. Saudha's world-class concert that connects both Indian Classical Music (instrumental and vocal), haunting verses of oriental and occidental poetry (Tagore, Ghalib, Hafiz, Keats and many more) as well as Kathak dance. It will feature one of the maestroes of North Indian classical vocalists Chandra Chakraborty (http://www.chandrachakraborty.info/), one of the leading Tabla players Sanju Sahai (http://www.sanjusahai.com/), highly acclaimed Keyboard player Sunil Jadhav, percussionist Renu Hossain (http://renu-holykutirecords.bandcamp.com/) Tagore singer Imtiaz Ahmed, ardently evocative Kathak dancers Jaymini Sahai and Showmi Das, actor and impassioned reciter Leesa Gazi, reciter Towhid Shakeel. Poet David Lee Morgan, Thiago Alexandre Tonussi and T M Ahmed Kaysher will read their poems on the theme with music in independent poetry session. Satyen Sen school of performing arts will perform a chorus from the remedial lyrics of Tagore. The concert is designed to seek the serenity of soul in the mundane crisis of modernity through emulsification of sacred music and verses of hypnotic poetry. For more information please visit www.saudha.org or call on 07828190551 or call Anuradha Nandi on 07951932798. Free entrance to propagate the magic of hypnotic Classical music and other subtle art forms to wider audience. The festival will showcase the evolution of Bangla Gaan from folk, Kirton, Nidhu Babu's Toppa, Poncho-Kobi (D L Roy, Tagore, Atul Prasad, Rajanikanto and Najrul) to Bangla Adhunik (Salil Chowdhury's gono-sangeet, Jotilessor, Manna dey, Sochin, Manobendro and all other doyens and legendary composers of Bangla Gaan). 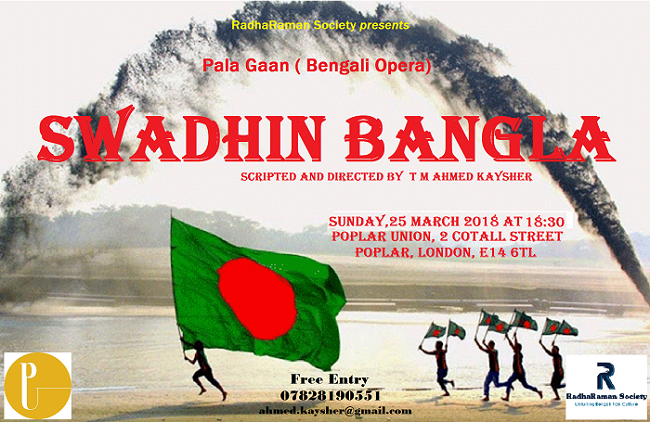 The leading singers of Bangla Gaan around the UK from West-Bengal and Bangladeshi origin will exude the treasure and the glorious journey of Bangla Gaan following an academic discussion prior to the concert. The singers will showcase different genres of Bangla Gaan will range from prominent to emerging talents. Saudha’s world-class concert that emulsifies both Indian and Western Classical (instrumental and vocal) with haunting verses of oriental and occidental poetry as well as Indian classical dance. The concert is designed to seek the serenity of soul in the mundane crisis of modernity and will be performed by Indian Classical Music maestros including some leading guest appearances from India. 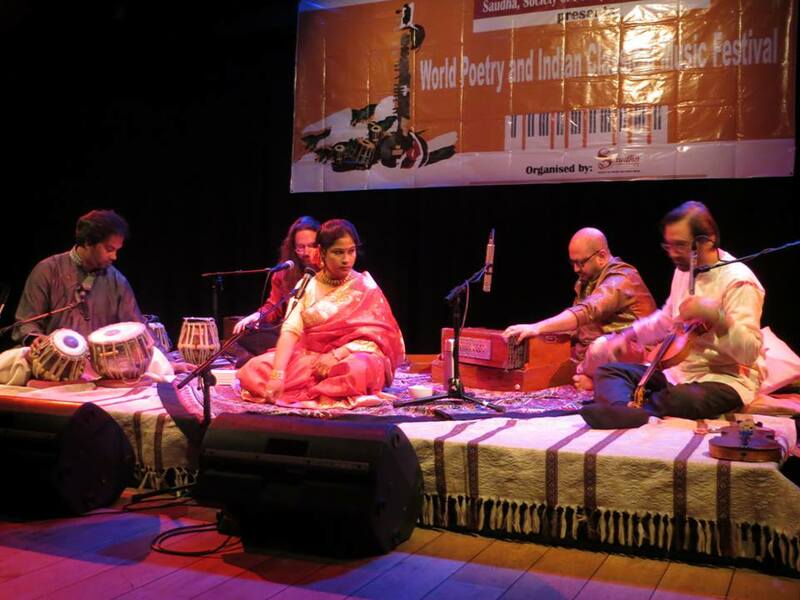 Saudha’s world class concerts that emulsifies both Indian and Western Classical (instrumental and vocal) with haunting verses of oriental and occidental poetry. The concerts which are designed to seek the serenity of soul in the mundane crisis of modernity and will be performed by Indian Classical Music maestros. A two-day-long festival of World Poetry and Indian Classical Music featured brief talks on the crises in connectivity of Indian Classical Music, contemporary poetry sessions by Bengali, Persian, Urdu, Hindi (with translation) and English contemporary poets as well as Saudha's world-class concerts which were designed to deconstruct and deluge the mood and meaning of classical music both vocal and solo-instrumental through seamless amalgamation with traditional world poetry. Leading interpreters of Indian Classical Music Chandra Chakraborty (Vocal), Shahbaz Hussain (Tabla), Kamalbir Nandra (Violin), Sumana Basu (Ghazal), Dipanjan Guha (Sitar), actor and impassioned reciters Erik Schelander and Leesa Gazi performed in Saudha’s world-class concerts and many poets from multi-racial background including Poet Amina Weston, Poet Rob Smith, poet T M Ahmed Kaysher (Bengali with English translation), Contemporary Bengali poet Delower Hussain Monzu, poet Scott Farquharson (www.scottfarquharson.co.uk) and award winning poet Siobhan MacMahon (www.siobhanmacmahon.co.uk) recited their poems in solo poetry session. This event was rated as one of the top ten events in Yorkshire by some event review websites and newspapers (http://www.asianecho.co.uk/?p=4661). Yorkshire Evening Post, BBC Leeds covered this festival as the major event of the city. 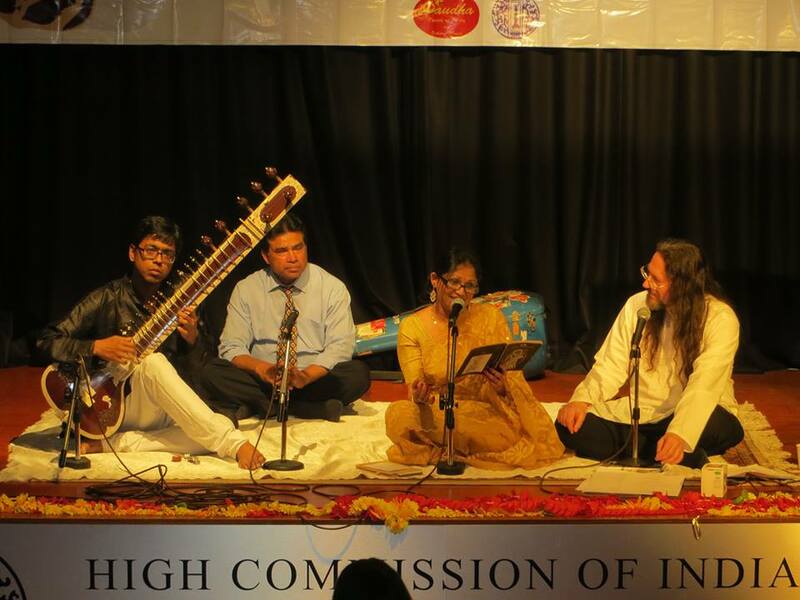 Two-day-long world poetry and Indian classical music festival entailed intellectual discussion on world poetry, Indian classical music and Saudha’s world-class concerts which were designed to establish the subtle but strong bond between lyrical poetry and classical music both vocal and instrumental. 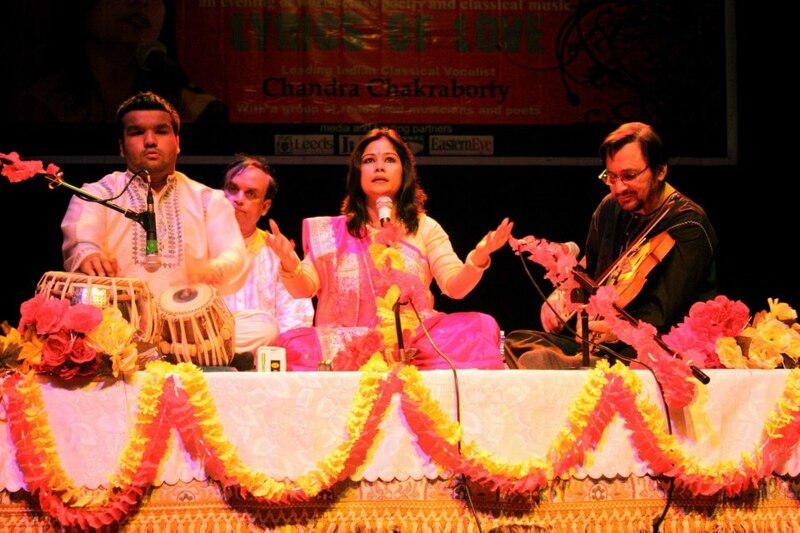 One of the leading classical vocalists Chandra Chakraborty, renowned Tabla player Sanju Sahai, acclaimed Violin player Kamalbir Nandra, young talented Sitarist Dipanjan Guha from India, famous Kathak dancer Jaimini Sahai, emotionally fervent reciters Erik Schelander and Leesa Gazi performed to take audience to a celestial universe. This was one of Saudha’s highly media-covered, unique, historic Bangla music festival in association with Whitechapel Idea Store and Bangla TV.The festival that showcased the evolution of Bangla Gaan from folk, Kirton, Nidhu Babu's Toppa, Poncho-Kobi (D L Roy, Tagore, Atul Prasad, Rajanikanto and Najrul) to Bangla Adhunik (Salil Chowdhury's gono-sangeet, Jotilessor, Manna dey, Sochin, Manobendro and all other doyens and legendary composers of Bangla Gaan). 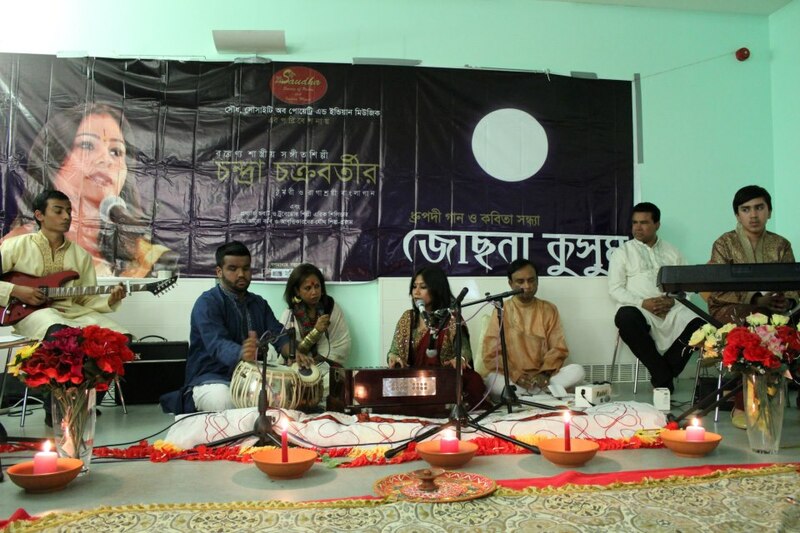 The leading singers of Bangla Gaan around the UK from West-Bengal and Bangladeshi origin exuded the treasure and the glorious journey of Bangla Gaan following an academic discussion prior to the concert. 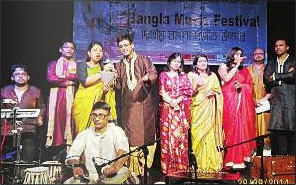 The singers who showcased different genres of Bangla Gaan wss ranged from prominent to emerging talents. 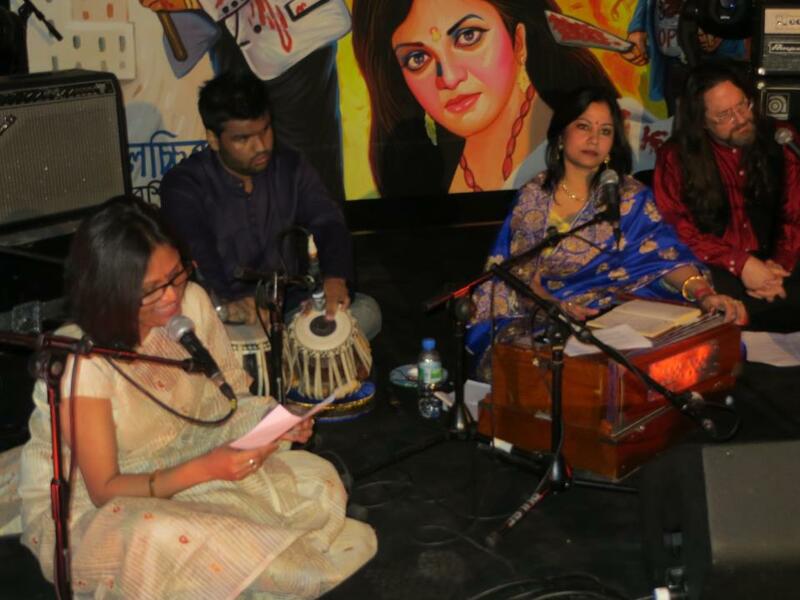 Leading Indian Classical vocalist Chandra Chakraborty, the venerable Himangshu Goswami, popular semi-classical singer Sumana Basu, Dr Imtiaz Ahmed, talented Tagore-singer Sahana Herrett (Sahana Bajpayee) and Rishi Banerjee, versatile singer Gouri Chowdhury, Farzana Sifat, Zahid Kamal, Ripa Raquib, Sohini Alam, Rukhsana Safa, Shuman Sharif, Laboni Barua, Tarique Hossain, Anuradha Nandi, Mustafizur Rahman Khokon, Syeda Nasim Queen, Amal Podder, Amit Kumar Deb displayed the magic of Bangla Music while popular keyboard player Abu Emran Tonmoy, Pappu Das (Octopad), Himanish Goswami (Tabla) accompanied them all the way through. In the discussion part of Sangeet Utshob,,Bangladesh High Commissioner to UK H.E Mohammed Mizrul Quayes, Ex-British High Commissioner to Bangladesh Anwar Choudhury (Director, FCO), Leading Indian classical vocalist Chandra Chakraborty, and versatile writer Leesa Gazi shared their journey into Bangla music and focused on the evolution of Bangla Gaan from its very origin. The whole discussion was presided over by founder and managing director of Bangla TV, Syed Samadul Haque. 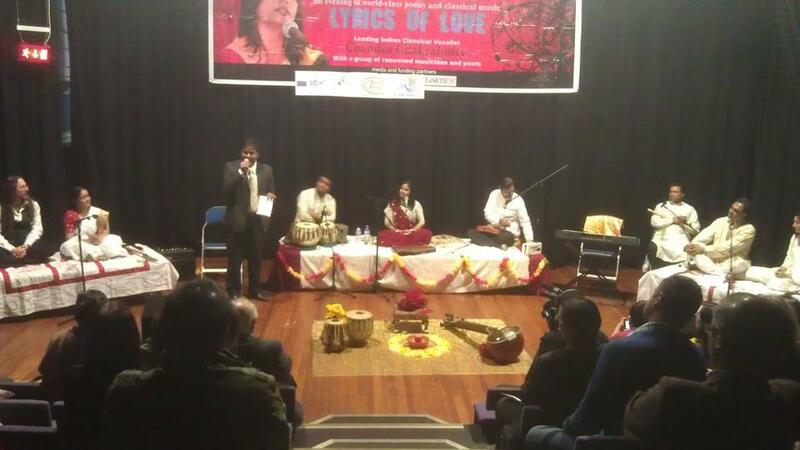 Leading Indian Classical singer Chandra Chakraborty sung Thumri and serious Bengali Songs based on melodious ragas with her young musician team while poets and reciters including Maher Ahmed, Sadeq Ahmed Choudhury Saadi, Arfuman Chowdhury accompanied her by reciting poetry from traditional and contemporary Bengali poets in London. A candle-light evening of haunting and transcendental music organised by Saudha, Society of Poetry and Indian Music to pay tribute to the two Ghazal Kings Mehdi Hassan and Jagjit Singh. One of the finest Indian Classical singers Chandra Chakraborty, renowned Ghazal singer Javed Bashir, Mukhtaar Meer with some other well-known Ghazal singers from Pakistan were accompanied by prominent musician and keyboard player Sunil Jadav, impassioned reciter Erik Schelander, young and talented tabla player Himuanish Goswami. The hall was brimming with the audience mainly from India, Pakistan and Bangladesh.